Huntington’s Disease is a cruel incurable condition that is known as the disease of families as children have a 50% chance of inheriting it from an affected parent. Detail Data spoke to two families affected by HD. Here are their stories. Mickey, Annie, John & Moira McNulty. Photograph by Lorcan Doherty. Mickey McNulty tested positive for HD when he was in his early 20s. Now 42, he has not yet developed the symptoms of the disease. The Gortin man inherited the condition from his late mother who inherited it from her father. “I think it [the positive result] went above my head at that time because I was young and didn’t really know the ins and outs of it or how severe it could be,” Mickey explained. However, as Mickey and his wife Moira watched the devastating effects of the disease on other family members they initially decided they would not have children. “In later years when my mother started to lose her speech and her movement it was heart-breaking seeing her go down bit-by-bit, knowing that there was nothing to help her or ease her pain,” he said. However, while living in Australia, Moira came across an article about Pre-Implantation Genetic Diagnosis (PGD), which is a procedure used prior to implantation to help identify genetic defects within embryos. This serves to prevent certain genetic diseases or disorders from being passed on to the child. As the treatment wasn’t available in Northern Ireland, the McNultys had to apply for funding for the PGD treatment at Guy’s Hospital in London. “We travelled back and forth to London and we had John who is 10,” explained Moira. 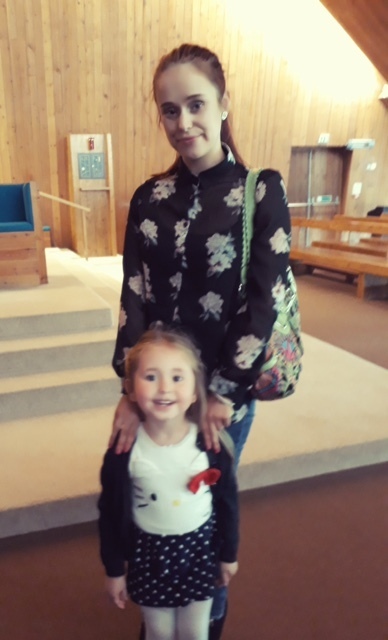 “We had a frozen embryo that didn’t work out for us and then we went back for more funding and we had Annie who has turned six. “We are glad now that we have gone through that. John has a less than 3% risk and Annie has less than 1% risk [of having HD]. As the McNultys live in the Western Trust area, Mickey has no access to an HD specialist nurse like dozens of other families across Northern Ireland. “It would be good to have someone we can get in contact with at short notice who specialises in HD,” he said. Moira is worried about the lack of specialist help. “When Mickey was diagnosed in 1999, we were told there would be a cure within 10 years – we are way past that, it’s nearly 20 years. “Time is going on and Mickey was told he would be showing signs in his 40s and now Mickey will be 42 this year. “You start to get scared that it’s going to be too late for us, especially if we have no access to services. Mickey added: “Because it is that rare, I think it takes a specialist nurse to be able to deal with it. “It can have a huge impact on your life once it sets in. “Unfortunately, it was passed down from my mum, they didn’t know at the time, they didn’t have a clue,” said Simon. “We were living in London. They were baffled by what was the matter with her and eventually she was diagnosed with Huntington’s Disease. She was 54 when she passed away. “I got tested in 2003. My sister got the all clear. Unfortunately I didn’t. I had two children at that stage. “Every time I look at them, even now, I would think there’s a 50/50 chance of them having it. Simon attributes the symptoms of the disease to the collapse of both his marriages. He has since developed ‘jerky movements’, confusion and has had to be referred to a memory clinic. He can no longer drive. Simon – like his daughter Laura and the McNultys – is angry that there is no HD specialist nurse provision in the Western Trust area. “It means you would have someone that understands, someone who is there to help you, someone who makes things easier, they would know the medication." He added: “I see my kids, they are all young, in their early 20s, some of them have already got kids of their own; they have families but they have to put all of that aside because they have to look after me because there’s no one else. Laura Clark – her father has HD. She has not yet been tested. 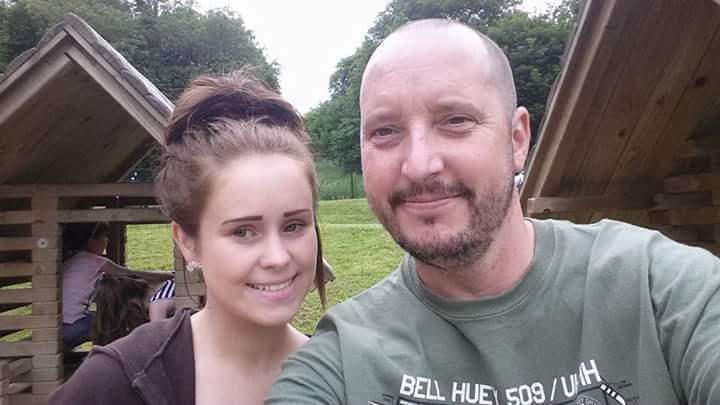 The 23-year-old from Derry has been a carer for her father Simon, who has HD, since she was 18-years-old. As well as generally taking care of him, she has responsibility for collecting and overseeing his medication – more than 140 tablets a week - drives him to a day centre, a Huntington’s Disease Association Northern Ireland support group, medical appointments and cleans for him. She does all this while being a full-time mum to three-year-old Ellie, holding down a part-time job and being a youth committee member of HDANI. Laura is also caring for her father, knowing there is a 50% chance she has the disease herself. “It’s horrible,” she explained. “It’s always there, very present in my life and it’s always going to be. It’s not nice knowing lots of my loved ones have a chance of having this disease and there’s no cure; there’s nothing we can do to stop it. “It’s terrifying because I might twitch at night and [think] is that Huntington’s? It’s there in the back of your head and because I have my young daughter it’s a worry – is she going to be affected by it in the future? “At the minute I haven’t got tested but I wouldn’t rule it out for the future because sometimes I feel it would take away the ‘what if’, the not knowing. Laura has also delayed getting tested because she feels there’s inadequate support for people with HD, particularly as there’s no specialist nurse in the Western Trust area where she lives. If you are affected by HD, at risk of the disease or are caring for someone with the condition, contact Huntington's Disease Association Northern Ireland for advice and support.